“Stabbing pain. Excruciating pain. Sharp pain. Intense pain.” This is how trigeminal neuralgia (TN) patients describe the facial pain they experience. TN episodes last from seconds to a couple of minutes and can occur in clusters over hours, days or even years. The condition can occur at any age although it is most commonly noted in women over age 50. The pain of trigeminal neuralgia originates with the trigeminal nerve (the fifth cranial nerve, CN V), located deep within the brain. This nerve is responsible for sensation in the face as well as motor functions. The trigeminal nerves are the largest cranial nerves, with three branches each: the ophthalmic nerve (V1), the maxillary nerve (V2), and the mandibular nerve (V3). For some, attacks are mild and feel like mild twinges of pain. It should be noted that the condition is not fatal, although in severe cases patients can become suicidal. 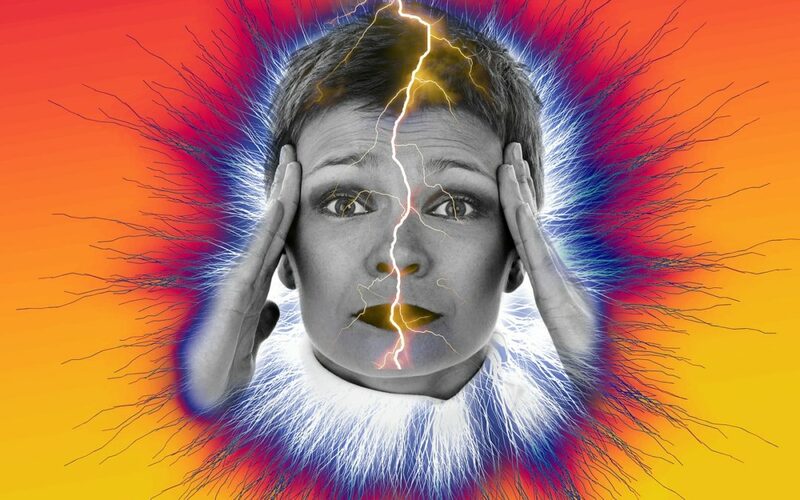 Patients with severe attacks feel as if they have electrical wires running across their face making it virtually impossible to function normally. While some patients enjoy remission periods, they become less common as the disease progresses. Trigeminal neuralgia affects one side of the face in most cases. In rare cases, it affects both sides of the face but usually not simultaneously. It is a chronic, progressive and painful condition. Symptoms are intensified by talking, chewing and swallowing, making it extremely difficult for the patient to lead a normal life. The pain likely starts when the vasculature of the trigeminal nerve is compressed by an enlarged blood vessel, the superior cerebellar artery. When this occurs, the vasculature exerts pressure on the trigeminal nerve causing it to “misfire.” This type of injury may be caused by an aneurysm, arteriovenous malformation, tumor, arachnoid cyst in the cerebellopontine angle or by a traumatic event such as a car accident. Other causes are nerve damage caused by multiple sclerosis, shingles or a stroke affecting the lower part of the brain. Stress, eating, drinking, smiling, brushing your teeth, talking, and shaving are all possible triggers for a painful attack. When there is no structural cause, the condition is considered idiopathic. Accidents and injuries to the upper cervical spine can misalign Atlas, the first bone in the neck. Such injuries can compress the trigeminal nerve resulting in pain and symptoms. An atlas misalignment is detected through diagnostic testing and precision NUCCA x-rays. Through specific protocols, a NUCCA chiropractor corrects the atlas misalignment resulting in symptomatic relief. Click here for testimonials. Singh N, Bharatha A, O’Kelly C, Wallace MC, Goldstein W, Willinsky RA, Aviv RI, Symons SP. Intrinsic arteriovenous malformation of the trigeminal nerve. Canadian Journal of Neurological Sciences. 2010 September; 37(5):681–683. Babu R, Murali R (1991). “Arachnoid cyst of the cerebellopontine angle manifesting as contralateral trigeminal neuralgia: case report”. Neurosurgery 28 (6): 886–7. doi:10.1097/00006123-199106000-00018.PMID 2067614. Croft, Stephen M. Foreman, Arthur C. (2002). Whiplash injuries: the cervical acceleration/deceleration syndrome (3rd ed.). Baltimore: Williams & Wilkins. p. 481. ISBN 9780781726818.